Each month we highlight an historic Duncan building. 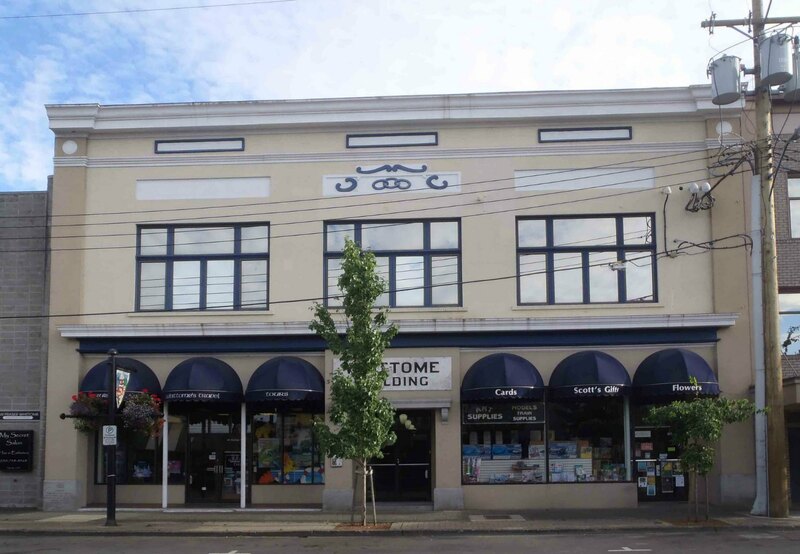 Our Featured Historic Building for May 2016 is the Whittome Building on Station Street, built in 1913. The Whittome Building was originally built in 1913 as the Lodge Hall for the Independent Order of Oddfellows (I.O.O.F.) Duncan Lodge No.17. It replaced an earlier I.O.O.F. lodge building on the same site which burned down in 1912. The building was purchased by J.H. Whittome & Co. in 1934 and renamed the Whittome Building. Whittome Building, Station Street, Duncan, B.C. The Whittome Building is still owned by J.H. Whittome & Co.’s successor company, Cowichan Estates Ltd., which uses it as its corporate headquarters. But there is still evidence of the Whittome Building’s I.O.O.F origin visible on the Station Street facade of the Whittome Building. The original cornerstone placed by the I.O.O.F. Grand Master on 29 March 1913 is still in place in the north east corner of the building. The cornerstone as it currently appears is shown in Figure 1 below. 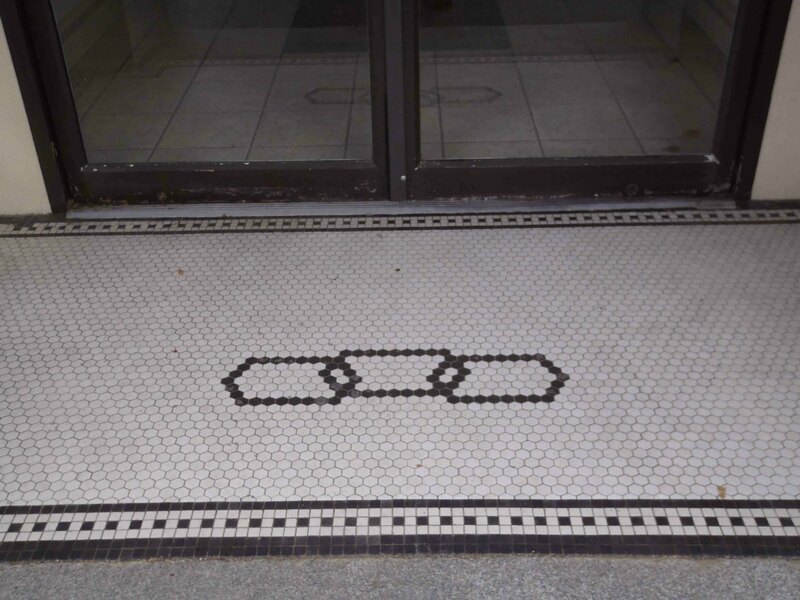 There is also an representation of the I.O.O.F three ring symbol rendered in tile at the main street level entrance to the building (see Figure 2 below. Duncan Lodge, No.17 of the I.O.O.F., which originally built the Whittome Building, no longer exists; it surrendered its charter in the 1940s. Figure 1. – I.O.O.F. Cornerstone of Whittome Building, Station Street, Duncan, B.C. Despite the fact that the weather was anything but inviting on Saturday afternoon last, there was quite a number of people present at the Laying of the Cornerstone of the I.O.O.F. building on Station Street. There were a number [of] invited guests including representatives of the various Public bodies and other lodges in the city and district. The ceremony was performed by the Grand Master of the Province G.M. Johnstone of Vancouver, while others present at the ceremony included Mr. Fred Davey, M.P.P., (Grand Secretary for the past 20 years), Mr. P.W. Dempster, Grand Treasurer of Vancouver, the Rev. E.G. Miller, Grand Chaplain, A.G.W. Colonel Jensen of Vancouver, A.G. Laidlaw, Grand Marshal, Vancouver, A. Maclean, Grand Guard, A.G. Cavalskey, Grand Representative, Nanaimo, W. Cullen, P.G.M., Victoria and F. Simpson, P.G.M., Victoria. The ceremony commenced by the Grand Master saying a few words to the gathering before calling on the Grand Chaplain to bless the lodge and building of which they were laying the corner stone. Grand Master Johnstone said it gave him great pleasure to be present at such a ceremony as this and he wished the Duncan lodge every success and prosperity in the carrying on of their great work. Thereupon he called upon the Grand Chaplain to bless the building and, as he did so, the the cornerstone was let down into place, guided by the hands of the Grand Master. Inside the cornerstone were placed various papers and documents; among them being the current issues of the Cowichan Leader and the Oddfellows and documents referring to the affairs of the Grand Lodge and the local Lodge. Drawn up behind the group immediately surrounding the Grand Master were a number of the Patriarchs Militant – a high degree of Oddfellowship – in their handsome uniforms and brilliantly cocked hats, They were under the command of Col. Dilabough of Victoria. There were a few short speeches at the conclusion of the actual ceremony, the first speaker being Mr. F. Simpson, late editor of the Cranbrook Herald. Mr. Simpson said he recalled how that some years ago he arrived here ill and a stranger. He felt that he could never discharge the debt that he owed to the Duncan Oddfellows for the kindness that had been shown him at that time. Continuing Mr. Simpson referred to the increasing number of Oddfellows throughout the world and the consequent increase in power and importance of their order. He stated that there were in all over one million and a half Oddfellows and including the Rebekahs there were over two millions. The next speaker was Mr. W.H. Hayward, M.P.P., who congratulated the local Oddfellows on the enterprise they had shown in beginning to erect such a splendid building within such a short time after the disastrous fire which destroyed their previous building. Mr. Hayward said that he thought their faith in this city was not misplaced as no place in the province was forging ahead more rapidly than the Cowichan district. Mr. Hayward also referred to the good work of the lodges all over the world. Their work was to come to the aid of the widow, the orphan and those that were down, and their work was most valuable. His Worship Mayor Duncan also said a few words of congratulation to the local lodge and expressed his pleasure that the Oddfellows had been prepared to show their faith in the future of Duncan by investing a large sum of money in this fine brick building. At the conclusion of the speeches a group of the visitors and their hosts were taken to the front steps of the Tzouhalem Hotel. In the evening a banquet was held in honour of the visit of the Grand Master and the other important officers of the Order in British Columbia. The banquet which was served in the K. of P. Lodge Room was attended by about 100 guests, including many of the Rebekah sisters. The latter were responsible for the catering and the banquet they served was indeed a sumptuous one. Mr. William Evans, Noble Grand of the local lodge, presided and beside the distinguished visitors there were present, among others, Messrs. Alderman Campbell, W.J. Castley, secretary of the local lodge, the Rev. J.W. Dickinson, A.C. Aitken, A. Henderson and M.A. Dawber who entertained the company with a couple of songs, Mr. E.J. Bowden and many ladies including Mrs. W.E. Archer and Miss Bell, also sang. 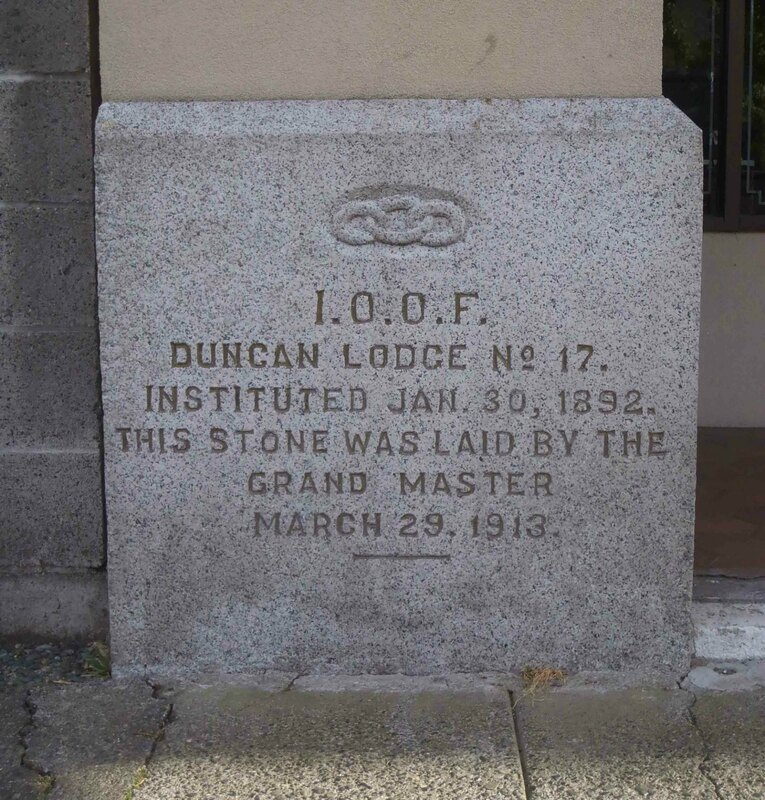 The idea of first starting a lodge of Oddfellows in Duncan originated with a member of Dominion Lodge, No.4 in Victoria. He was at that time foreman of Koksilah quarry, L. Anderson by name, and his efforts were so successful that January 20th, 1892 nine pilgrims journeyed to Victoria and were there initiated into the mysteries of Oddfellowship. The report they brought back was so favourable that 17 others desired to join the order. Grand Master Phillips arrived on January 27th and they also were made Oddfellows in the Agricultural Hall. A Lodge was instituted to be called Duncan Lodge, No.17 I.O.O.F. The charter members were C.H. Dickie, N.G., Alex Cheyne V.G., John Norwood Secy., Wm. G. Manley Treasurer, Wm. Dingwall, Wm. Oleson, J. Street and R.J. Manley. A hall was rented over W.P. Jaynes‘ store and meetings were held more or less regularly until 1894 when a lot was purchased and a building erected thereon (the largest building in town at the time). Financially, the lodge was always a success, though the members were inclined to roam at one time and there were members in nearly every part of the globe from Dawson City to Cuba, and the British Isles, Sweden, Australia and New Zealand. The new hall was then taken over and the same good fortune continued, with practically no sickness among the members, thus allowing the funds of the lodge to accumulate. until the 25th November 1911, when the first serious loss occurred by fire. Everything was lost. No help was asked from other lodges or from anyone else, however, and it is hoped that the present structure will be attended by continued good luck. Source: from Cowichan Valley Museum & Archives collection. 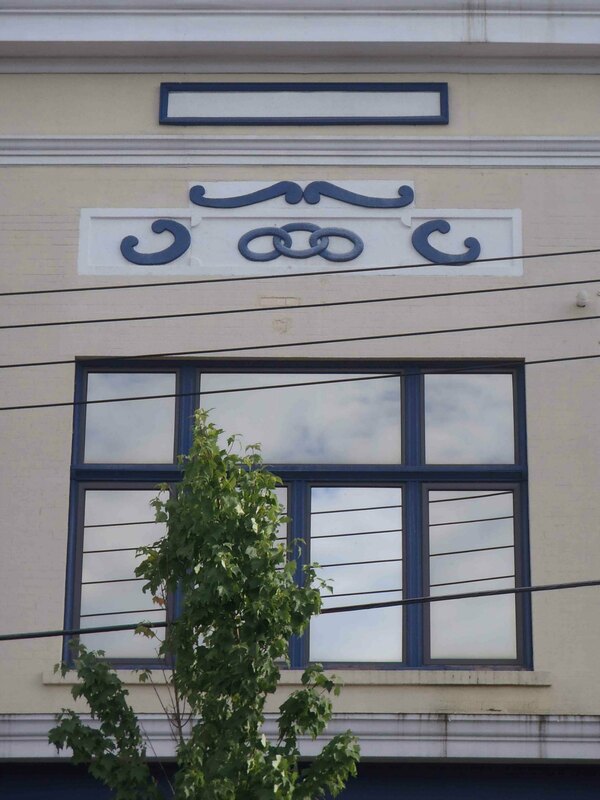 Figure 2 – Independent Order of Odd Fellows (I.O.O.F) symbol is still in place at the Whittome Building main entrance. A largely attended meeting took place in Duncan on Wednesday night, the occasion being the dedication by the Oddfellows of their new hall. Nearly a hundred were present to witness the ceremony and dedication which was performed under the aegis of the acting Grand Master, F.W. Dempster of Victoria, and under the direction of Brother H. Evans. The ceremony consisted in the raising of an altar built of seven stones of different hues symbolizing the virtues, purity, friendship, love, truth, faith, hope and charity. Messrs. Smith, Halpenny, W. Evans and McKay, Grand Heralds of the north, south, east and west respectively accomplished this task, on the completion of which prayer was offered up by the chaplain, Bro. Bowden and several odes were sung by the Rebekah chior. The whole was quite an impressive spectacle. The company afterwards adjourned to the banquet hall to partake of an excellent supper, which had been prepared by the ladies of the Rebekah lodge. A lengthy toast list was successfully negotiated under Bro. Dickinson’s chairmanship, the toast of the Grand Lodge calling forth quite an oration from Bro. 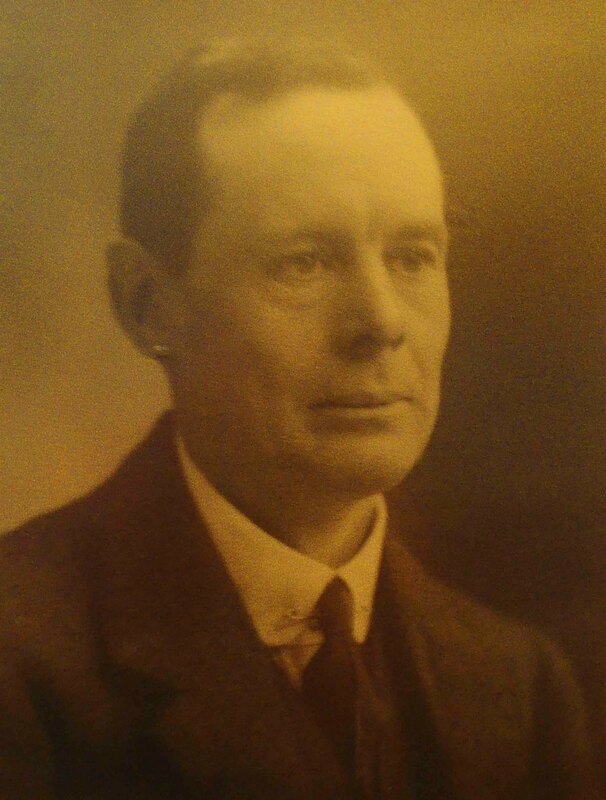 Fred Davis, M.P.P. of Victoria. The musical part of the proceedings was, as is usual among the Oddfellows, quite satisfactory. Bros. Davis and Plaskett delighted their audience with their rendering of Excelsior and Bro. Dawber delighted his hearers with several of his humorous ditties. After supper, dancing was indulged in by some, while others betook themselves to the card room. Among notable visitors present was Bro. Glass from Penticton, who complimented the lodge on its coming of age and its new building. Finally, here is the local newspaper report of the sale of the building to J.H. Whittome & Co. in 1934. Mr. E.W. Lee‘s workmen began on Tuesday to transform the old Fox store in the I.O.O.F Building, Station Street, into a real estate and insurance office and stock board room for Messrs. J.H. Whittome & Co., who will subdivide their present building across the street into three small stores. Mr. Whittome has been in business in Duncan since 1898. He began in the old Jaynes Building, now occupied by Vancouver Island Coach Lines Ltd. and which is also undergoing alterations at present, but very soon moved to his present location, where he has been about 35 years. The new office will be right up to date and a hundred times more convenient than the old one, where the staff and public have constantly to be running upstairs to the board room. The front will be completely altered and entrance will be from the right, near the Cowichan Merchants. The first part will be the general office, with a 36-foot counter. Three private offices will also be found there. There will be a well-constructed steel-lined vault with automatic fire door. It will have two stories, and current papers will be stored on the main office level, other papers on the basement level. Stocks and bonds will have their own sanctuary behind a sound-proof partition running right across the office to the height of the ceiling. It will close off all the rear part. Inside will be a circular stock board of 60-foot length and a raised platform around it, with a raised platform for the telegrapher and his instrument at one end and the ticker with Vancouver [stock] prices in the centre. There will also be a private office here. It is hoped to have the new office ready by July . The Whittome Building is now owned by Cowichan Estates Limited, the successor company to J.H. Whittome & Co.
Cowichan Estates Limited uses the Whittome Building as its corporate headquarters. 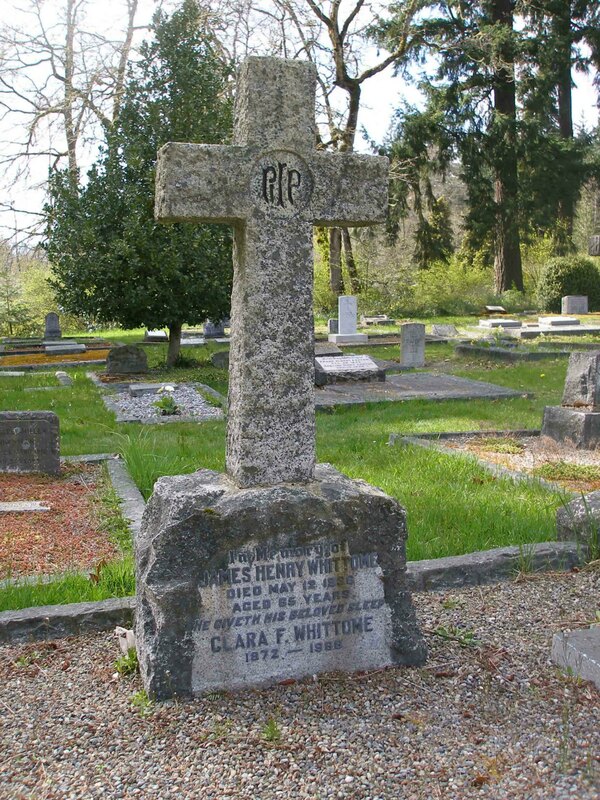 James Henry Whittome is buried in St. Peter’s Quamichan Anglican Cemetery.